Can't keep my hand out of the cooke jar. Heat oven to 375°F. Combine peanut butter, shortening, brown sugar, milk and vanilla in large bowl. Beat at medium speed of electric mixer until well blended. Add egg. Beat just until blended. Combine flour, baking soda and salt. Add to creamed mixture at low speed. Mix just until blended. Drop by rounded tablespoonfuls 2-inches apart onto greased baking sheet. Flatten slightly in a crisscross pattern with tines of fork. Bake one baking sheet at a time 7 to 8 minutes, or until set and just beginning to brown. Cool 2 minutes on baking sheet. Remove cookies to cooling racks to cool completely. All you have to do to enter the give away is leave a comment on this post telling me your favorite cookie. Additionally, if you like Baked Perfection on Facebook and comment there, you will get a second entry. All entries must be received by midnight on Friday October 24th. I will announce a winner (through blog post) the following week. My favorite cookie is oatmeal chocolate chip. Chocolate cookie with a marshmallow in the middle, topped with chocolate icing. Mmmm! Have to go with classic chocolate chip! My favorite cookie would be oatmeal raisin with white chocolate macadamia nut as a really close second. My favorite cookie is oatmeal scotchies.I like chocolate chip and peanut butter cookies too, but oatmeal scotchies are my favorite. I love chocolate chip cookies hot out of the oven. My favorite cookie is rainbow cookies. I love chocolate chip, but snickerdoodles are fast becoming a favorite! I love white chocolate chip macadamia nut cookies the best! Mine are chocolate chip cookies. I've got a recipe that makes 8dozen so when I make them I have lots to spare. Triple chocolate cranberry raisin, yummmmmmmmmmmmmmm!!!!!!!!!!!!!!!!!!!!!! molasses cookies are my fav, so soft and delicious! I love snicker doodle and oatmeal raisin cookies! Actually I meant peanut butter no bake cookies! The kind with oatmeal, cocoa, and Jif. Seriously! My favorite cookie is chocolate chip. My husband's is peanut butter so this recipe will be great for him. Thank you! my fav cookie is a chewy peanut butter chocolate chip cookie!! I love molasses cookies that are rolled in sugar. I love snicker doodles. Yum! Just made a batch of oatmeal raisin cookies and added white chips and chocolate chips. 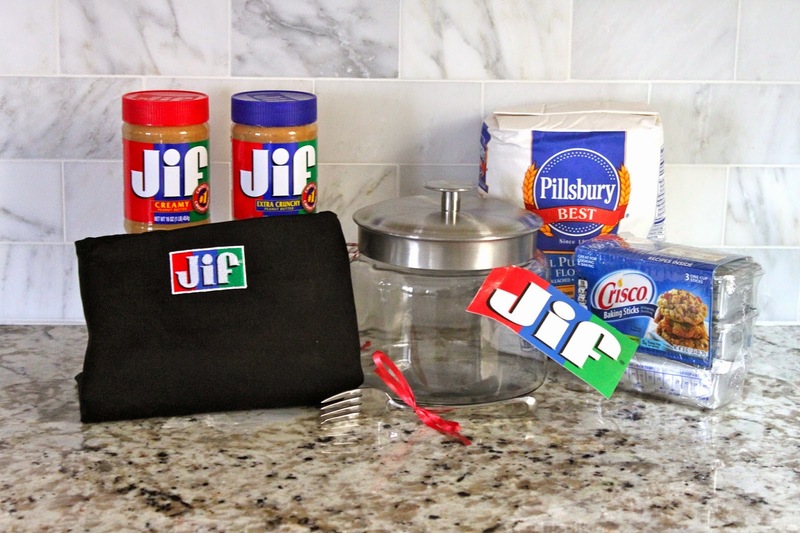 JIF is the BEST PB extra crunchy! Too many! 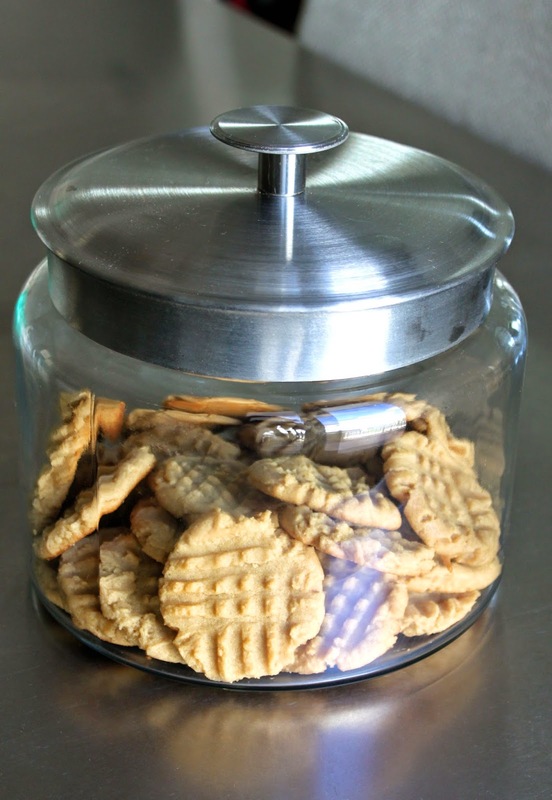 These PB cookies look great.. gonna make them for my hubby! My favorite is probably just a really good chocolate chip. YUM! These look great. My favorite cookie is a tie between monster cookies or just basic chocolate chip. My favorite is the chocolate chip cookie recipe on the butter flavored crisco. I add butterscotch chips, which makes them very rich. My favorite cookies are chocolate cookies with peanut butter cups. I like Baked Perfection on Facebook. Peanut Blossoms! Can't beat a peanut butter cookie topped with a chocolate kiss. I also love snickerdoodles. My fav would probably be snickerdoodles! I liked Baked Perfection on Facebook! i love chocolate cherry bit cookies!